PJ’s curtains and blinds have made their way successfully all over Australia with outlets servicing in Brighton, Camberwell, Burwood, Bentleigh, Chadstone and now curtain repair Glen Waverly services. Being a populated suburb of Melbourne, the residents of Glen Waverly generally fail to find a professional curtain repair Service provider anywhere near them. PJ curtains and blinds provide the solution to your entire curtain related problems. Give us a call or visit us, you are sure to be met by our reliable customer care service. At PJ curtains and blinds, we have made available to our customers a huge variety of colours and curtain designs to choose from. Our customers usually get excited seeing such a huge range of motifs and curtain styles. Other furnishings that we offer include blinds and Venetians. We have Roman, sunscreen and block-out blinds to choose from. Aluminium and timber Venetians with beautiful patterns are also available to give your home a look all the more attractive. 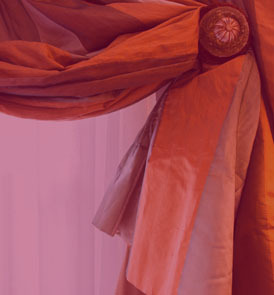 Our stitched curtain swags and tails with intricate cuts and details can make them more appealing than ever before. Fabric pelmets and lined curtains are another assortment from our soft furnishings’ line. These curtain swags and tails, pelmets and valances are not only difficult to install but to maintain as well. We make sure to help our customers install their curtains and blinds, which they purchase from us. The installation takes less time and hard work than you might imagine, as our technicians are well experienced and certified to perform their job quickly. Whenever you feel the need to get your curtains or blinds repaired, feel free to call us straight away. We will reach to you and get your curtains repaired in no time. With professionals like us available to tailor your curtains, there is no need to worry as we would return your belongings repaired and without any further damage. PJ curtains and blinds provide curtain repair Glen Waverly fast and at extremely affordable prices. 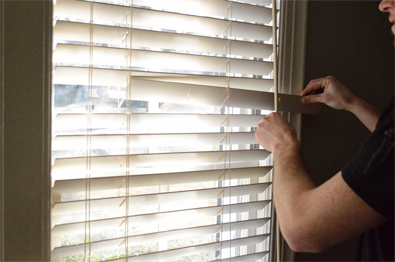 Whether you want us to repair your broken blind or Venetian or your torn curtain, we will dispense our best service to gain your satisfaction at a price that is within nearly everyone’s reach. PJ curtains and blinds have made their way up towards providing curtain repair services in major suburbs of Melbourne. Our customers have acknowledged our curtain repair Glen Waverly service due to our fast and early service administered by our trained, authorized and proficient technician who work tremendously to serve our valued customers!